Undoubtedly, it’s been a slow start for an only-now-coalescing monster of a project. Last June, Mayor Ron Nirenberg announced the launch of the city’s first climate planning process. A string of citizen committees started getting busy on that this March. Perhaps the sloth is in the weight of the project. We have been tasked to find and eradicate energy waste and climate pollution across City operations while transforming the landscape into a “Climate Ready” concern prepared to better withstand accelerating extreme weather events tied to climate change. And we are to do it all on a budget that won’t overly burden the residents of a city with a poverty rate approaching 20 percent. We’re talking totally transforming (at least crafting the vision for the total transformation of) our building and roadways, municipal water treatment and delivery, as well as electricity production at City-owned CPS Energy. From an ethical perspective: This work should also prioritize the needs of those resident who are least prepared to weather a deadly string of 110-degree days or bounce back from a 20-inch deluge. In the parlance: We are speaking of those who are least culpable for our climate crisis and most vulnerable to its furious manifestations. So if that all sounds like we have things to talk about, you’re right. Luckily it is exactly time to start gargling our ethically sourced chamomile and honey teas. On Monday, the second round of sit-down meetings for the various Climate Action and Adaptation Plan technical working groups and their steering committee gets underway. At Deceleration, we’ve had our fun with the City processers (ie. Was the complete failure to advertise the first round of CAAP meetings a violation of the Texas Open Meetings Act? And who are the Boss Cats, anyway?). But the game in motion is a deadly serious one. Which, for those who aren’t clear on this, is why folks make public stinks about public engagement, empowerment, and racial and gender equity to begin with. It is lives on the line. Lives which, CAAP facilitators have rightly made clear, could be damaged by climate change policies as surely as they will be increasingly violent weather (h/t Eloisa). Leading each month’s round of tables is the Equity group. Because it will be how we define equity—not fairness, not equality, equity—actively working to provide all people what they need to enjoy a full life—that will color all of the future work on gentrification and development, floodplain scraping and re-naturing, as well as community solar and microgrids. It’s the definitional work that will necessarily complicate each group’s tasks. Clean energy, si. For whom? And how? At the end of the day (or just at the end of this post), it’d be a cheap shot to bring Austin into the conversation now. I mean just because our great frenemy up the way is on the cusp of net-zero greenhouse on all City operations isn’t a de facto reason to leap into a climate justice revolution. 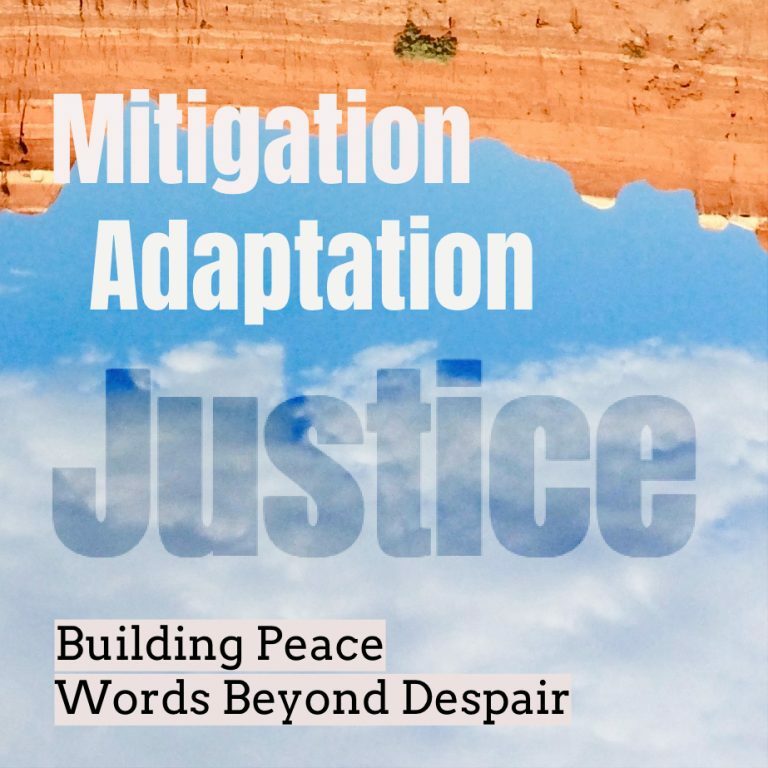 The activated conviction should flow from a read on the science and the miseries on evidence from Harvey, to Sandy, to collapsing Alaskan communities, to seemingly unquenchable wildlife any number of mass displacements due to crop failure or sea water inundation. Truth be told, all that understood, the failure of CPS Energy to update their decade-old commit to reach a mere 20 percent renewable energy by 2020 is shame enough for real action. But if we do need other cities for motivation, read on. More than 50 U.S. cities are chasing 100 percent clean energy goals. Not San Antonio. Cities all over the United States are turning away from dangerous coal and gas plants and rapidly switching to renewable energy systems drawing on low-carbon alternatives such as wind, solar, hydro, and geothermal. However, San Antonio-owned CPS Energy has failed to update its renewable energy pledge since announcing in 2008 a 20 percent renewable goal by 2020. As CPS plays with “flex gen” (see other side) we’re falling fast behind more motivated and visionary large and mid-sized cities around the country. Here is a short list of those cities that are actually leading the way to a clean energy future. A handful of U.S. cities already receive 100 percent of their energy from renewable sources. Included among this bunch are Georgetown, TX; Aspen, CO; Greensburg, KS; Rockport, MO; Burlington, VT. Here are a few examples of more than 40 U.S. cities that have committed to 100 percent clean-energy. Denton, TX, committed to 100 percent renewable by 2020. Santa Barbara, CA, committed to 100 percent renewable energy by 2030. It also has committed to transitioning all municipal buildings and city operations to 50 percent clean energy by 2020. Atlanta, GA, committed to achieving 100 percent renewable energy across all city operations by 2025 and city-wide by 2035. Salt Lake City, UT, committed to achieving 100 percent renewable energy for community electricity supply by 2032 and 50 percent renewable electricity for municipal operations by 2020. San Diego, CA, committed to 100 percent renewable electricity by 2035. Orlando, FL, committed to 100 percent renewable energy for city operations by 2030 and 100 percent renewable energy community-wide by 2050. San Francisco committed to 100 percent renewable energy by 2030.